Are you looking for a transit bus to take your group somewhere? Do you need a reliable transportation service to do it? Austin Charter Services has been an industry leader in coach bus rental around Texas for many years. We offer our customers a comfortable, safe ride to and from their destination. Wherever you need to go, let us get you there in our affordable transit buses. Our Austin bus transportation services were designed with you in mind. Your business is important to us and we want to leave you as a satisfied customer. 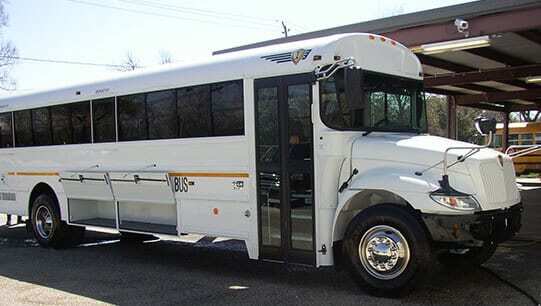 We have a large fleet of charter buses to fit whatever size group you have. Our charter bus rentals range in price to fit your budget and needs. It’s our brand promise to keep your group safe while on the road traveling through your favorite bus routes. All of our drivers are licensed professionals who have been doing this for years. If you’re planning a bus trip this year and need a high-quality transportation service to take you, trust Austin Charter Services. We’ll do our best to make sure you’re happy with our services and your trip is enjoyable. Whether you need a school bus rental to take your class on a field trip or need to get your group to the airport, our charter services were made with you in mind. Trust us to provide the services you need at a price that’s affordable. Contact us to learn more about our services!